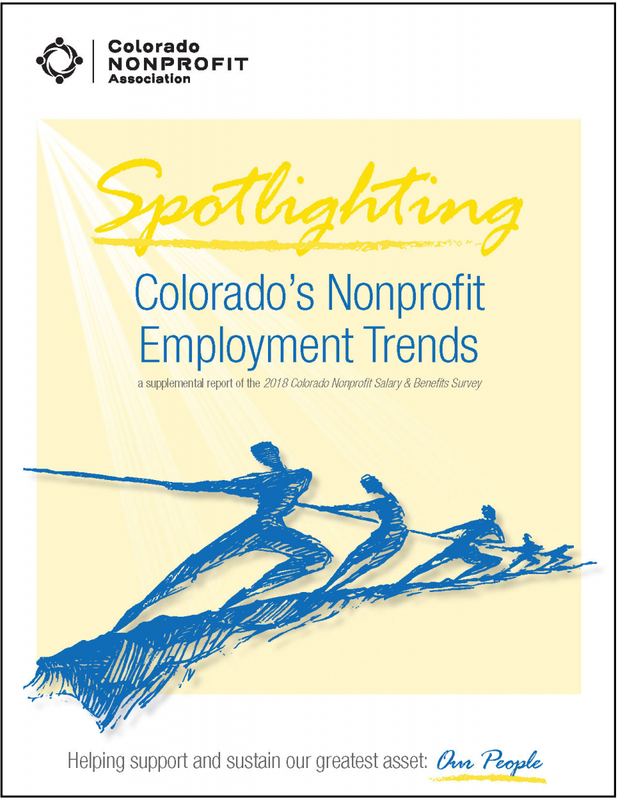 The Colorado Nonprofit Salary & Benefits Survey publishes every two years helping nonprofits set affordable, competitive compensation packages. 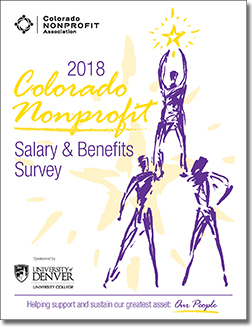 The 2018 Salary & Benefits Survey is based on data from 523 nonprofit organizations across Colorado reporting on nearly 7,000 employees. Find salary information for 99 positions. Preview the Table of Contents and Index of Jobs. Participated in the survey? Participants receive a 50% discount on the publication. 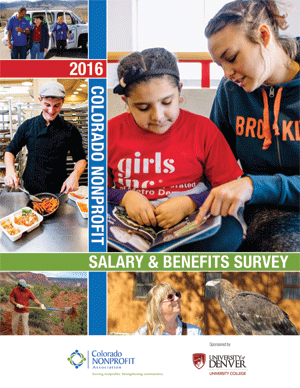 For information on how to purchase the survey at the discounted rate contact Melanie Tsuchida at mtsuchida@coloradononprofits.org or 303.813.4217. Download our inaugural employment trends and practices report. Find information on turnover, policies, salary trends, and more. There are limited hard copies of the 2016 edition still available. If you are interested in purchasing, contact us for more information.